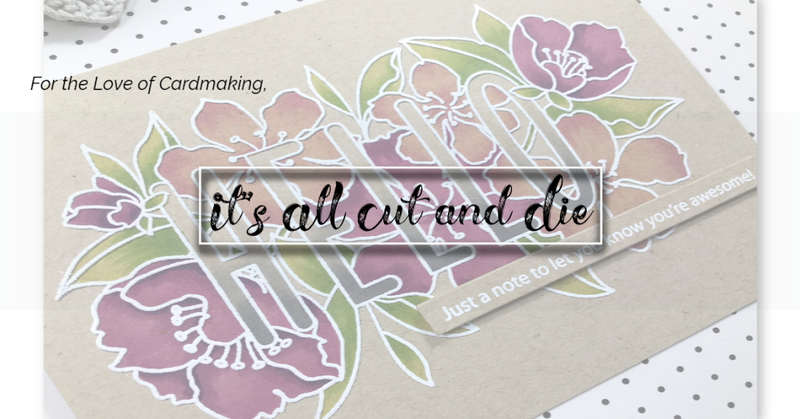 It's All Cut and Die: My Creative Time 48 Hour Flash Sale!! 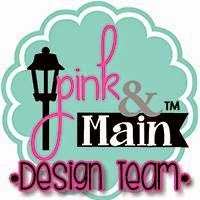 You likely have arrived from the awesome Miss Kendra's blog but you can find the complete line up here. I added a few flowers cut from red and green cardstock using the Stitched Pretty Flowers and Leaves Die set. I heat embossed the centres of the flowers with the same embossing powder. The stamp set comes with a "to" and a "from" which I stamped on the back of each tag. Now onto the card and the third shaped tag die! 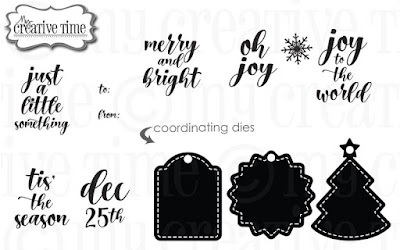 The Christmas tree tag has a star with a hole where you place your string or ribbon. I just snipped this portion off. I added some green ink to the tree and the round ornaments are actually the floral centres from the Stitched Pretty Flowers and Leaves!! I used the smallest star die from the 3 Star Stitched Die Set. The background uses the snowflake stamp that's included in this new set and I just stamped it using Versamark in for a watermark look. 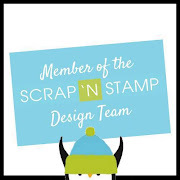 Please don't hate me but I cut apart one of the sentiments from the stamp set. This allowed me to place it horizontally across the card. 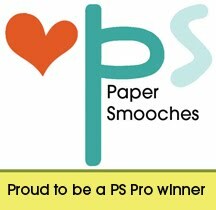 I thought it would be fun to heat emboss on a strip of vellum and wrap it around the card front. (I must apologize for the quality of my photos today. It is dark and gloomy and no amount of editing seemed to fix this problem!!) I used Nuvo Crystal Glaze to add dimension and shine to the ornaments. I hope you enjoyed my projects for today! Next up on the hop is the talented Miss Ruthie!!! Oh My Goodness My Goodness Miss Laurie WOWIE WOW You sure did showcase this new Adorable Little Gift Tag Set in a most Brilliant and Ingenious way!! I'm in awe over all of your Outstanding Creations!! You most certainly share how versatile this set is!! 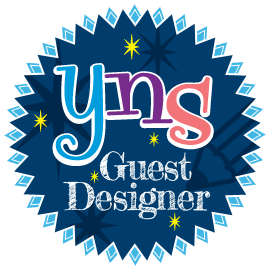 Your little tags are adorable, Your shaker is Gorgeous, Your card is so Beautiful You so did an Incredible Job!! YOU so ROCK!! 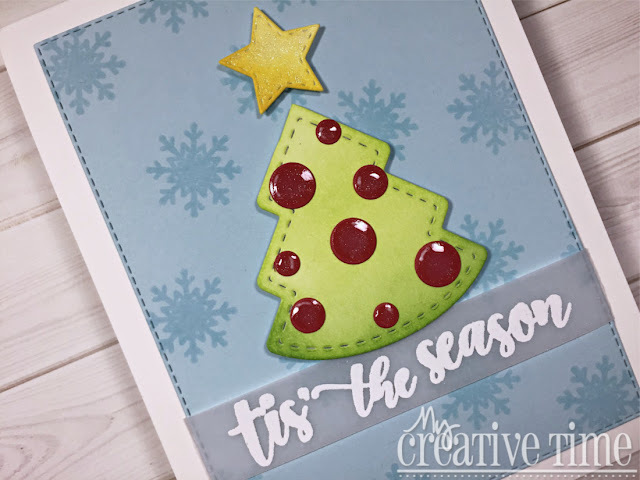 LOVE the little shaker tag Laurie, and how you showcased the tag die cuts in ways other than tags! Great projects! I love how many ways you show to use the new tag set. Ooooh, I am in love with the shaker tag!! So cute. Love your creative designs. Thanks for the fabulous ideas. Gorgeous card!! Beautiful tags! I especially love the shaker tag!! Laurie, I love how you used these tags! The little shaker is adorable, and I love the flowers on the other tag! Using the tree on a card was a terrific idea! 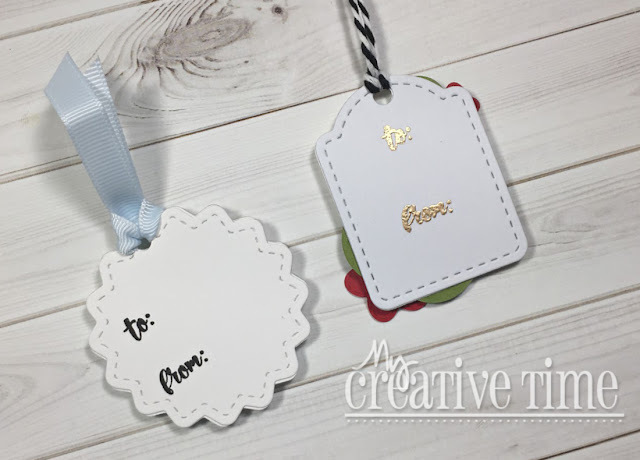 I love how you showed different ways to use these adorable tags!! Beautiful tags and cute card. Your tags are as BEAUTIFUL as the card!! Stunning job! 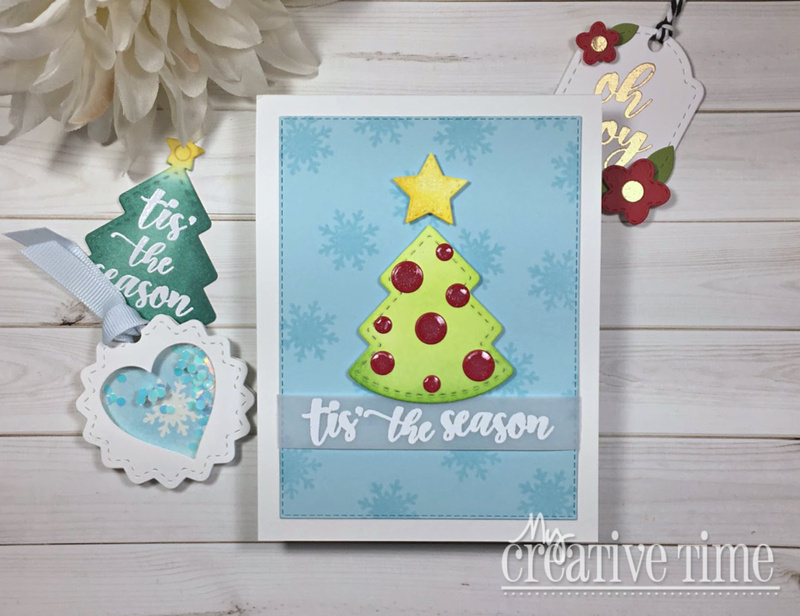 Your tags and card are fabulous! 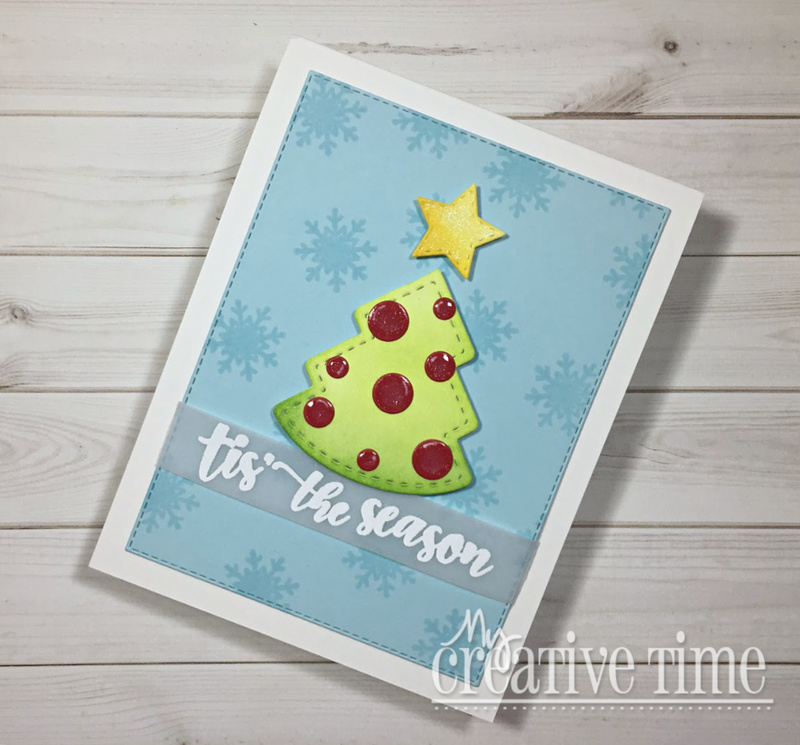 I love the shaker tag and how you used the snowflake stamp to create a background so awesome!